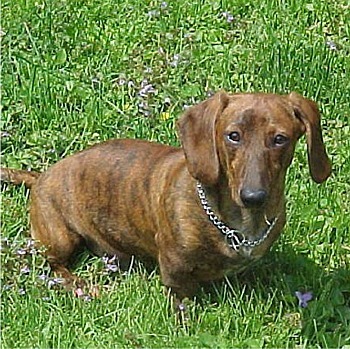 Dachshunds have the most variety of colors and patterns of any breed that are registered with the AKC. With or Without tan points. Cream, called Wheaten in wires, with or without black shading. 1. 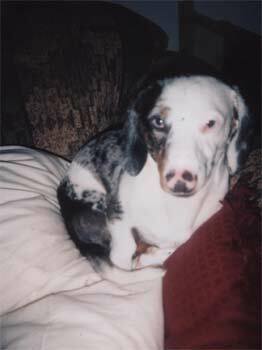 Dapple- A dapple dog (called merle in other breeds like a collie) is spotted and mottled in appearance. 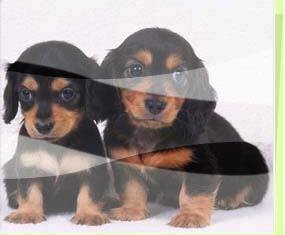 For instance, a black and tan dapple will have area's of silver hair, this is due to the dapple gene diluling the black color- stripping of it's pigment as a way of discribing it. The dappleing effect can be in any color, the tan points, over all the body, in the eyes creating blue eyes or blue spots in the eye. 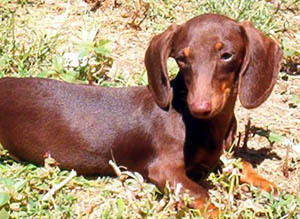 One parent must be dapple to have dapple pups, as it is a dominate gene. 2. 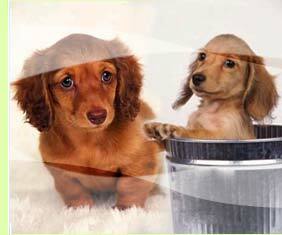 Double Dapple- Breeding 2 dapple dogs together will produce double dapple. This can be a lethal combination, the double gene can land in the eyes causing blindness, in the ear causing deaafness, some pups can be born without eyes or other malformations. Some are born perfectly healthy and beautiful. 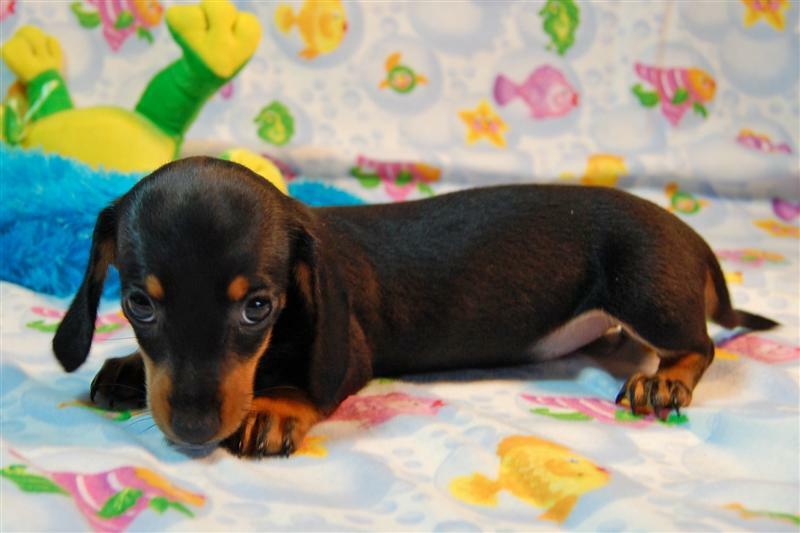 A double dapple breed to a solid dog, will have all dapple pups (not double dapple pups). This pattern is not acceptable for show. 3. Piebald- The piebald gene is recessive and can be carried for generations. Piebalds look very similar to a beagle, with large spots of color on a white background and may have ticking (small spots from just a few to thickly scattered all over). Not all piebalds have ticking. It can be carried, but to be a true piebald and not a dog that "carries for piebald" both parents must be piebalds, or at least both carry for it. 4. Brindle- The brindle patteren is a dominate gene, only one parent has to carry the gene to produce any brindle pups. The brindle appears as stripes like seen on a tiger or zebra, and can be seen scattered all over the body. In a dark color like chocolate or black, the patteren might only be seen in the tan points as the color will hide it. Wild Boar- Smooth and wire coats- Sable / wild boars appear to look like a black and tan at first glance. 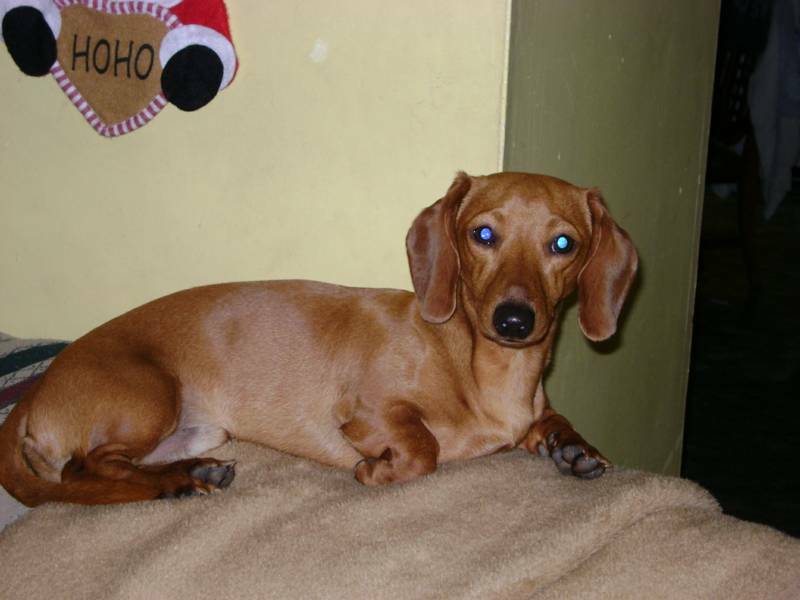 All body hairs, except on the face and feet, are banded with two colors, the self color occurs closest to the dog's body while the darker color occurs near the hair tip. The face and feet are usually just the dogs self color. 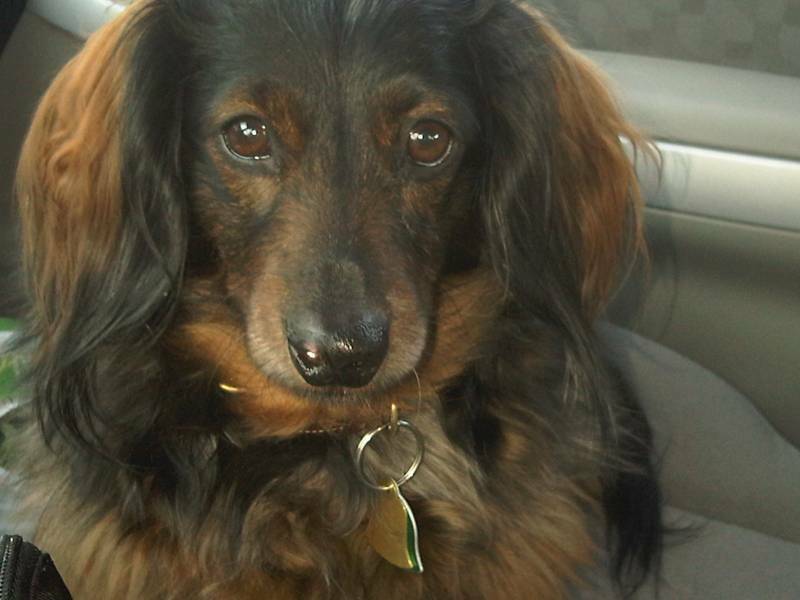 Home of the prespoiled wieners.